Design to use the universal tool will not work due to the double that width crankshaft pulley restricting access. Allow damaged free mounting of the flexible multi-ribbed belt. 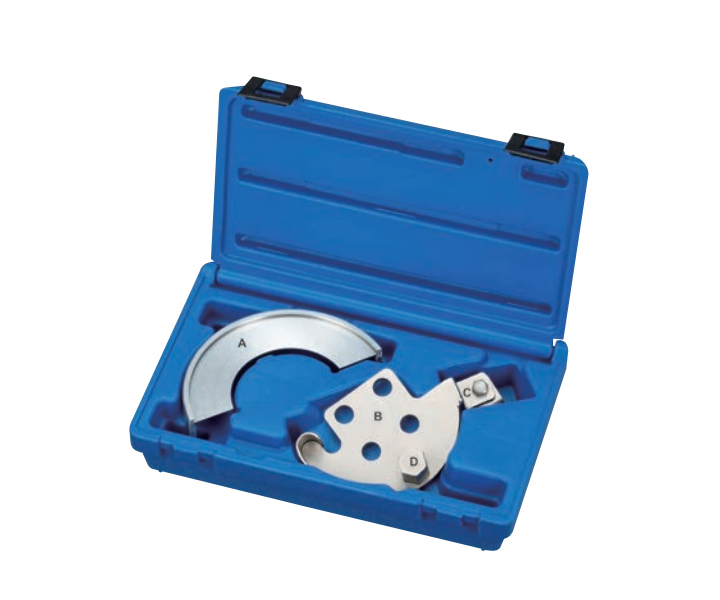 The flexible belt drive requires no idler, but this particular assemblies the tool.